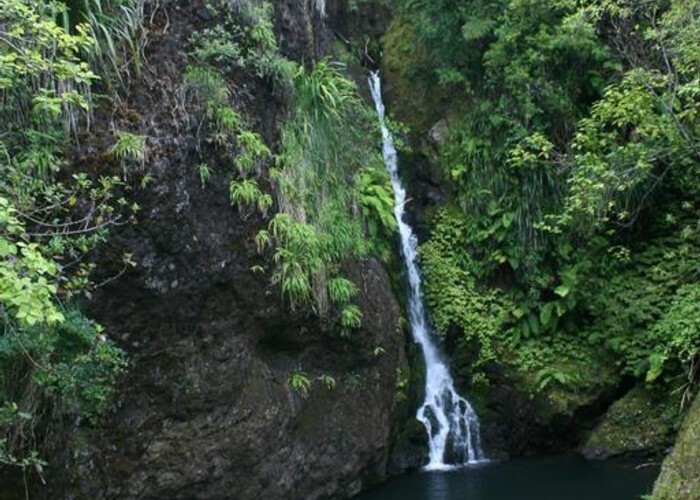 Short walk to a 15 metre waterfall near Huia. Karamatura Falls • By Matthew. Licence: cc by-nc-nd. From the car park, a wide, smooth track follows the stream under kanuka trees and passes the first end of the returning loop. Just past the second end, find another junction. The Karamatura Track leads off to the left. Follow this. The track climbs through nikau forest, crossing a little stream past breccia boulders. The falls are to the right. Return via the other branch of the loop. The forest here is nikau, tree ferns, kauri, tanekaha, rimu, rewarewa, puriri, rata, and parataniwha by the creek. Added 1 April 2013 by MatthewMatthew. 1 revision 1 April 2013 by MatthewMatthew. 161 views in the past year (13 per month).